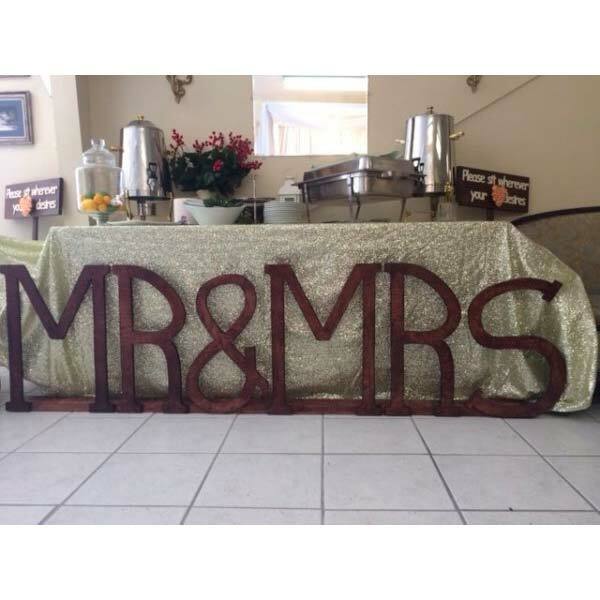 Our Mahogany Mr. & Mrs. wedding sign is 7 1/2 feet long and 2 feet tall. 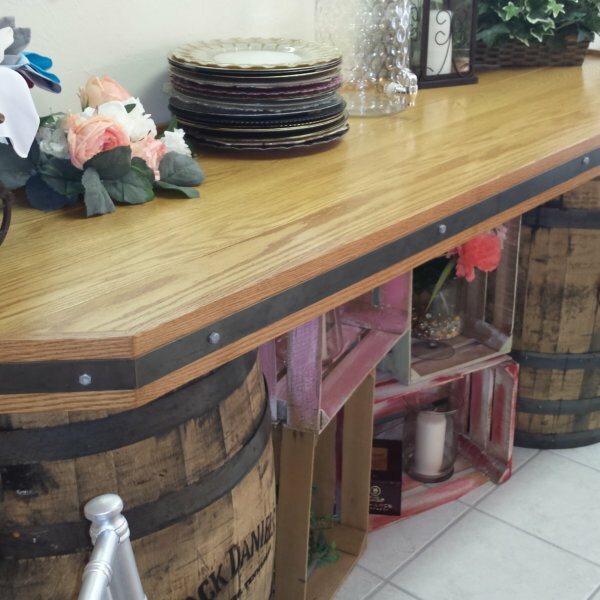 It looks perfect displayed in front of your head table. 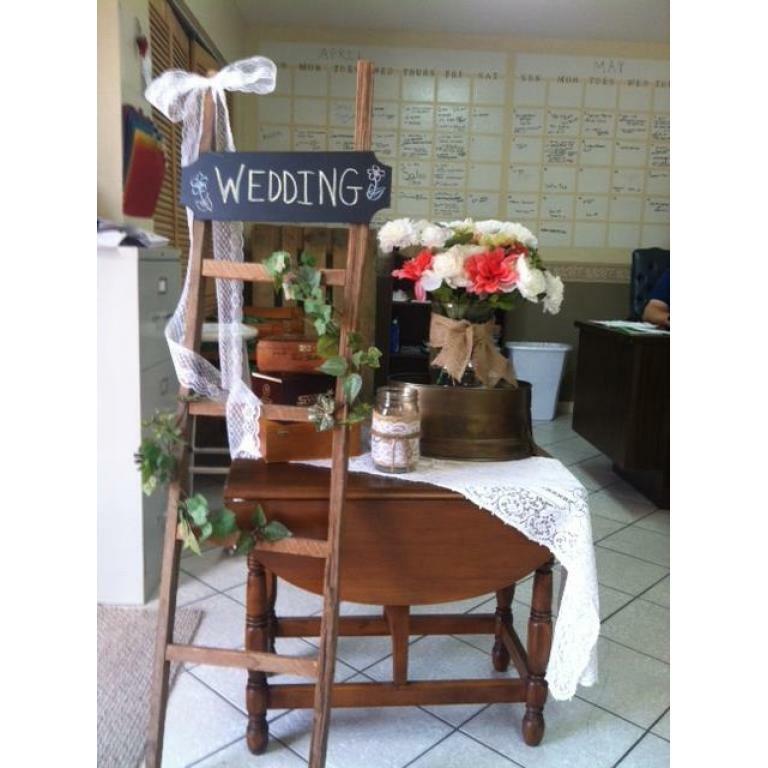 “Exclusive Affair Party Rentals went out of their way before heading on a family vacation, helping my business E’Leep’s Catering to get my client everything they needed for their 3 day big event. The products were outstanding and we will be working together again. You guys are great!